Hunter Animal Rescue is a not-for-profit organisation run by volunteers who dedicate their time to finding new homes for abandoned pets facing euthanasia. All animals are kept in foster carer homes where they experience a good quality of life. The carers also get a good idea of a dog or cat’s personality and suitability for different homes. We were formed by a small group of self-funded volunteers. Originally, we were foster carers for the PAWS rescue group. Fostering animals from various Sydney pounds and transporting them up to Newcastle to look after them till they found their new homes. It became apparent after a while that there are many animals in our own backyard (the Lower Hunter) that needed our help, more then what the Sydney animals did as there are so many rescue groups in Sydney and none up here!. 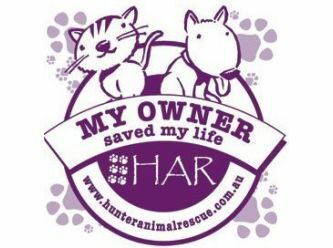 So Hunter Animal Rescue was formed, and now we foster Dogs and Cats from various lower hunter pounds and occasionally from Sydney pounds. In November 2004, Hunter Animal Rescue became an Incorporated Not-For-Profit Association. In January 2009, Hunter Animal Rescue officially gained Charity status. All donations over $2 are now tax deductible. - We are completely run by volunteers who spend many hours trying to save the lives of pound animals. - We have helped reduce the amount of dogs and cats put to sleep in some pounds by 50%. - We have approx 90 members. - We work closely with Muswellbrook, Rutherford RSPCA, Port Stephens, Singleton, and Wyong care facilities to reduce the number of animals euthanised in these facilities. - We rehome over 500 animals a year. "Hunter Animal Rescue supports responsible pet ownership. We encourage all members of the public to have their dogs and cats desexed before their first season. We look forward to the end of overbreeding of companion animals and a time when there is no longer a need for us to rescue animals from the pound." 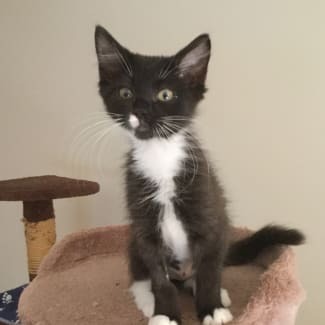 All About Me and My Unique Personality: Bodhi is a playful and cheeky kitten, he is currently in foster care with his brother. He loves to climb his cat tree and play wrestle in his tunnel. My Ideal Home: Somewhere he will have toys to play with, and humans or other fur babies to entertain him. What is Known About My Background: Was part of a dumped litter that was handed into the RSPCA. How Do I Interact with Kids, Dogs, Cats and Other Pets: Bodhi is confident and not fussed with his foster mum's 2 dogs, or 2 other adult cats. He interacts with them all, and can be very playful. All About Me and My Unique Personality: I am a fun, goofy boy! I love to chase lasers and toys! I love sleeping in comfy spots on top of my cat gym. I like to run around all day and climb up everything. I’m a curious cat, sniffing everything. My Ideal Home: Probably a home with kids to entertain me, and people that are ok with me climbing on things, running around and making a little mess. What is Known About My Background: Was abandoned, currently living with surrogate mother and another litter. How Do I Interact with Kids, Dogs, Cats and Other Pets: I like to play with kids! I will wriggle about when picked up though, I’m not much of a hugger. I havent met dogs or other pets. When introduced to the other litter that I’m living with, i was scared and would hiss and swipe at them. But now you’ll find me curled up somewhere with them. I am scared of the older cat that also lives in this home, i growl at her sometimes. All About Me and My Unique Personality: Charlie is a little guy who is a bit of a special case. He has the potential to be a lovely natured boy but is very timid since arriving into care. There is no nastiness in him but he prefers to be on guard when he sees you. He has improved a lot in the past month, not always hiding when you enter the room but is always cautious. 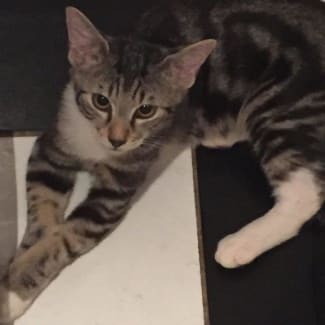 Charlie has lovely markings in his tabby coat and just needs some special person to love him and show him just how wonderful humans can be. My Ideal Home: Charlie’s home will be dedicated to bringing out the best in him. He is looking for a patient and calm person/family with the time to spend teaching him to trust. Charlie just looking for someone with an extra big heart and the patience to help him reach his full potential as a loving pet. 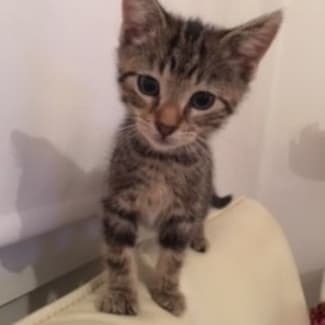 We know this is absolutely possible for Charlie - we have had 2 kittens very similar to him recently who have found very special homes and behave just like any other beautiful cat. An indoor only home that is more on the quiet side. What is Known About My Background: Charlie was dumped in the overnight cage at a rural pound. Whilst nothing else is known about him he is a healthy boy who doesn't cause any fuss. How Do I Interact with Kids, Dogs, Cats and Other Pets: Charlie is perfectly fine with the other kittens. He is slightly larger than most he is currently living with, but has not been dominant with any of them and is now found sharing beds and sitting on the scratching posts with them. Charlie has not met any dogs; at this stage; he is too scared. Charlie will hide when the children enter the room but can be picked up and held by the eldest one, but again is quite scared. He can be picked up and held but it needs to be a quiet environment and any sudden noises and he will run for cover. 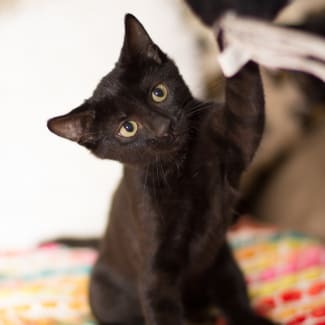 All About Me and My Unique Personality: Sammi is a sweet little girl with a warm and friendly nature. My Ideal Home: Sammi would like a home where she will be loved and kept safe. What is Known About My Background: Sammi came into care from a local shelter. 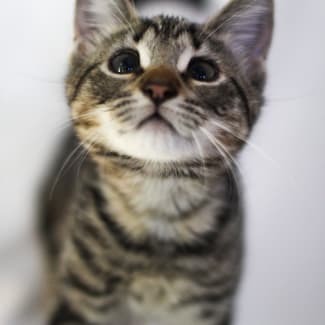 How Do I Interact with Kids, Dogs, Cats and Other Pets: Sammi loves the other kittens in care and will enjoy the company of kids. She hasn’t met any dogs as yet but I am sure she will be fine with gentle introductions.